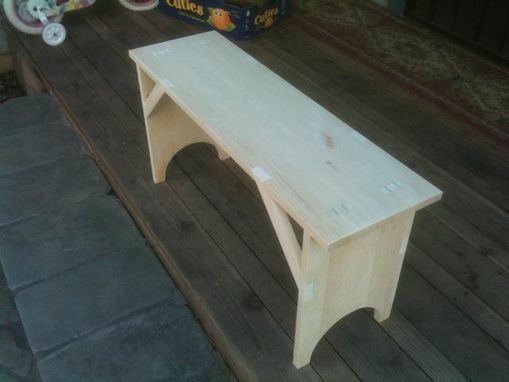 Shaker Bench in White Pine. Traditional construction methods and joinery create a very strong and ridgid bench even in softwoods such as pine though this bench also looks great in hardwoods like white oak. 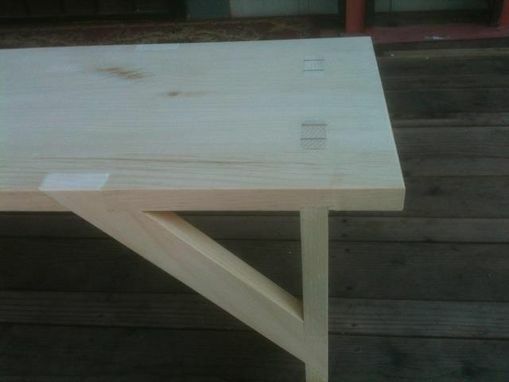 This simple piece displays exposed joinery, and is well proportioned. Bench fits nicely near front door as a comfortable place to put on or take off shoes.